Jean was born in 1923 and brought up in England, although her parents were both from Edinburgh and they always regarded Scotland as their real home. After a degree from London University and service in the WRNS, she took her PhD in Edinburgh, but for various reasons had some time to fill in before she could submit her thesis in 1952. During this time, Jean began to undertake historical research for private clients, some of whom had applied to the Lord Lyon’s Office for assistance. Among these was Miss Mairi Chisholm of Chisholm who, just after the founding of the Clan Chisholm Society, wanted a new clan history written. Jean went to visit Miss Mairi in Argyll to discuss the project and that was that ­ she became hooked for life to her great satisfaction and benefit, and hopes some small benefit to the Chisholms as well. Jean was already involved with writing short clan histories for the publishers W & AK Johnston, and the short Chisholm history followed the same format, though it was not part of their series. From 1952 onwards, she has worked on and off for the Clan Chisholm Society, and from 1960 to 1982, Jean served as Editor of the Clan Chisholm Journal. After marrying in 1958, she carried on with research projects of her own selection. Her husband was a journalist on the Scotsman, and for a few years in the 1960’s edited the Highland News in Inverness. He retired in 1970 in order to write for his own choice, and he and Jean have co-operated on many projects since then. The Clan Munro Association has absorbed some of Jean's time, including work preparing the display in the Clan Centre in Ross-shire, and also Clan Donnachaidh (Jean's own clan through her Duncan grandmother) whose museum in Perthshire opened in 1969 but is sadly now closed ­ they hope only temporarily. In addition to research, writing, and editing on her own and with her husband, Jean Munro has served as Chairman of the Scottish History Society, the Scottish Local History Forum, and the Scottish Genealogy Society. 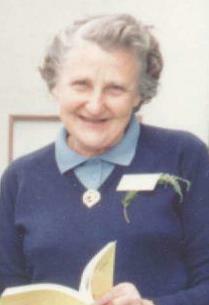 She was also a member of the Executive Council of the National Trust for Scotland for 15 years. She is at present a Vice President of the Society of Antiquaries of Scotland.